Hahahahahaha, roll cages. HAHAHAHAHA, DOORS. 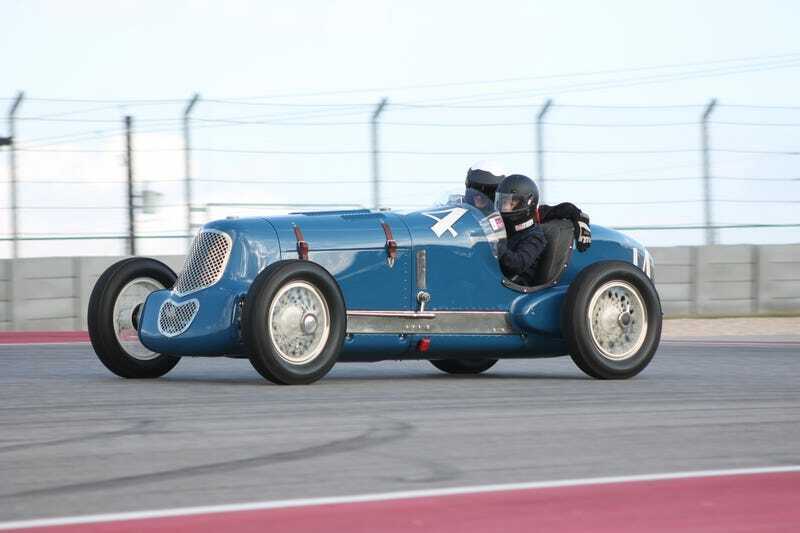 If you want to see balls of steel, go to a vintage race—specifically, the pre-war race group. The lucky ones get a codriver to hold them in the car around corners! Let me put it this way: the typical Hoon of the Day has more structure around him than a pre-war vintage racer. Vintage races tend to have, uh, vintage safety systems in certain groups. The cars are a bit slower than a modern race car, but they were also built in the era where if you flipped it, your best options were to duck under the dashboard or be tossed from the car. Neither of those sound particularly good. That being said, I get it. No one wants to see a historic racer retrofitted with a jungle gym except maybe the owners' moms. I'm pretty sure my mom might cringe at me trying this. Maybe. I had to sneak running an old Volkswagen in full gear with a nice, safe roll cage all around it past her back in the day. To those who run them, it's worth the risk to have one of the coolest cars at the entire event. I can't tell you how many times I've heard people get barked at during track events and autocrosses for having an arm out the window. Here, though, where else is it going to go? You don't need space in the cockpit for your silly arms. Don't flip the car and you'll be fine. This one, complete with small opening doors and a racing harness, was among the more modern cars of the group. I must say—this MG's leather hood straps are far cooler than my hood pins will ever be. So, there you have it: my nomination for the biggest balls of them all. The consequences for a bad run aren't just stuffing a priceless, historic car: it could royally bork the driver, too.